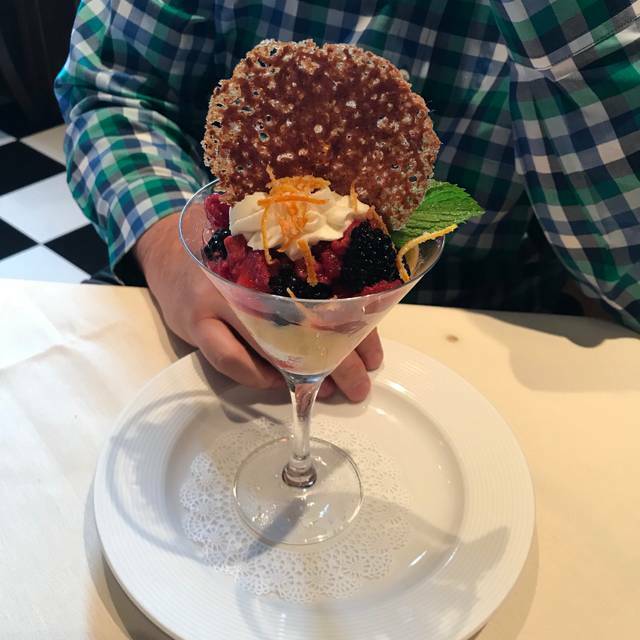 Located in charming downtown Leesburg, Casa Nostra brings exceptional Italian cuisine to life with bold expressions of color, texture and artistry in every dish. The service was very good and so was the food. I had the beef bolognese and it was a big serving. The other 3 got shrimp scampi over pasta, chicken Parmesan and clams linguine. They were very good but needed more pasta. It is a very welcoming with several dining areas, a bar. We would go there again. Great food and service. Can get a bit loud at times particularly when there is live music. Only negative regarding food is the rather small pasta portion accompanying an entree. But overall a great place for any occasion. Great place in Downtown Los Angeles! We love the fantastic service and the amazing food they serve . You can’t go wrong here, best place for Italian Food at reasonable prices. Loved the quaintance. Randy, our server, made the atmosphere all the better. He was awesome, professional, and attentive. The food was great. The whole restaurant was elegant. We enjoyed the band playing. They are there Friday nights. The night we dined there was a reception going on so the set up was not the usual. Because of the crowd, the service was a bit slow. Small things like not having the cutlery and napkins at the table, etc. The food was excellent and it was nice to get the happy hour price for drinks even though we didn’t realize it was happy hour! The Branzino is only available on Friday and Saturday and was amazing! We did not expect chef to filet the fish tableside. The roasted mushrooms and the broccolini were perfect compliments to the Branzino. Definitely recommend. I would not recommend going there ! Cosa Nostra has a great reasonably-priced Italian menu, the service was excellent, and we will definitely dine here again. From the crispy calamari and shrimp ball appetizers to all of our various meal selections- including lasagna, chicken parmesan and a fried shrimp dish, it was a totally delicious, relaxing experience. The food last Saturday evening was very good but my portion of Osso Buco was tiny and over cooked. I was extremely disappointed. Soooooo good... Food was amazing. Service was better then most. Quiet and relaxing. Real deal. Uber in for parking ease. We had the trout and ossu bucco. Both were delicious. Light portions but seasoned and cooked perfectly. Finished with legit tiramisu and expresso. Very friendly staff. We will definitely go again. Excellent experience out with friends. Service and food was impeccable as always. Claudio was awesome and the food and wine were great! Claudio our waiter was wonderful. He gave excellent suggestions and catered to us so much. The food was very good but portions were a bit on the small side for the price. We really enjoyed our dinner then and will definitely come back for a special occasion. Especially with him as our server. The service was good and the food was temperature appropriate. Unfortunately the Branzino had so many bones it was difficult to enjoy. It made for an unpleasant meal. Great service, food, and wine. Not inexpensive but well worth it. My husband and I visited this restaurant for my belated birthday dinner. There was live music on the entry level which able to be heard in the upper level dining rooms. We noticed that there were speakers in the ceiling so we would suggest having Italian music or soft music in place in order to add to the ambiance and muffle the live bar music below. The lighting was also a bit bright for dinner and would have been much nicer slightly dimmed. Our waiter had only been working there for 4 days and didn't really know much about the drinks, menu items or desserts (the restaurant should include a small description on the dessert menu....we looked many of them up on line...and I'm Italian :-) However, he was very friendly and attentive throughout the night. Our food was DELICIOUS. My husband began with the Insalata Cesare and I enjoyed the Rucola (baby arugula salad with olive oil, shaved Parmesan cheese and a half grilled lemon). We also shared the meatballs which came with a dollop of ricotta cheese, marinara and pesto. For dinner, I enjoyed the salmon with gnocchi and pesto. It was cooked to perfection! My husband dined on the Chicken Piccata which was flavorful, tender and delicious. We then shared the Torta Della Nonna which was delightful, light and the perfect end to our meal. The Espresso machine was not working so we opted for a cup of coffee which was also wonderful (and I rarely say that about standard brewed coffee). I was happy to get the last slot available on Valentine's Day weekend. The restaurant was very crowded, and the host took it upon himself to make sure our drinks and first course requests went in right away, as the servers were super busy. My wifes chicken marsala was a little under seasoned and a bit bland, but otherwise the food was excellent! The lack of a functioning espresso machine drove us to seek dessert elsewhere, but these things happen. I will happily return again in the near future. My fiancé and I love Casa Nostra. It is our favorite place to eat out for a nice evening out and to celebrate special occasions. Food was great, server was overwhelmed, she had way too many tables and service was below par. Food is incredible, definitely a must try in the downtown Leesburg area. We went for the valentines dinner special. I ordered the meatball appetizer. I thought the meatballs were over cooked. My main course was a veal piccata served over spaghetti noodles that were also over cooked. The only redeeming meal was desert. It was amazing. Service was excellent. Just not impressed with the food for the price. Phenomenal service and very attentive. The food was delicious and great wine list! We were celebrating an early valentine day and a new job. We had reservations and were seated immediately. We ordered wine and an appetizer--arancini in tomato sauce. We had to ask for bread. The appetizer was hot and crispy and very good. At that time we ordered our entrees, spicy pan roasted shrimp and vegetarian risotto. The shrimp were excellent and cooked perfectly and the spicy sauce was great. My husband enjoyed his risotto but I didn't taste it. He ended up finishing up my shrimp as well. The waitress was nice and we shared stories about jobs in Europe with the military. She also provided us with a celebratory glass of red wine as this would be our last time there. We finished off the meal with a tiramisu to go. We were stuffed. Very good meal and we enjoyed it. A great find in downtown Leesburg. Food is superb and the wait staff attentive to your needs. Can get a bit noisy at times, but still well worth the trip. I had the salmon and it was not fresh and was too fishy for my taste. The gnocchi was delicious and so was the appetizers! Service was a little slow. Perhaps other dishes are good. Also, I made my reservation on Open Table and the hostess did not mark it as confirmed so Open Table marked me as a "no show" which I had to write an email confirming that I was there. I would go back for happy hour. Great food, very gracious service and presentation. 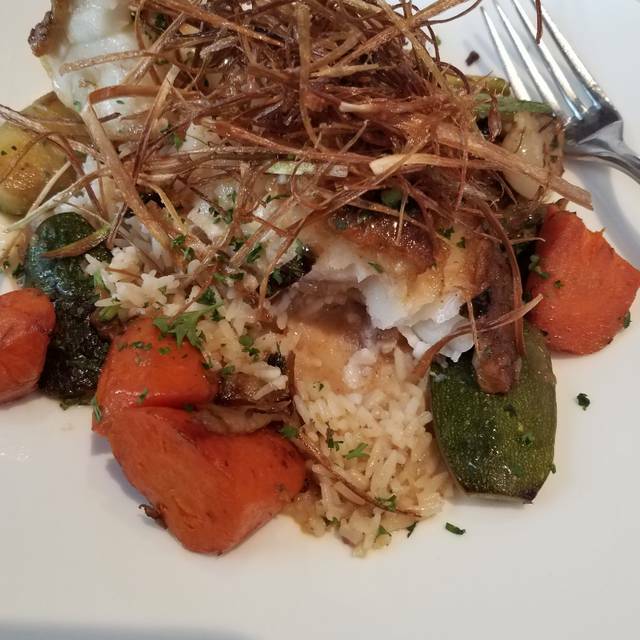 Seabass had tons of bones even after the server deboned and filleted it. The salt crust was removed but scraps were left on it and the fish wasn't edible. The Chicken Parm was just ok. Nothing you couldn't get anywhere else and it had little flavor. The back up servers didn't know who ordered what and for the price, the guest shouldn't have to raise their hands when food is delivered. My partner and I had a wonderful time at Casa Nostra! 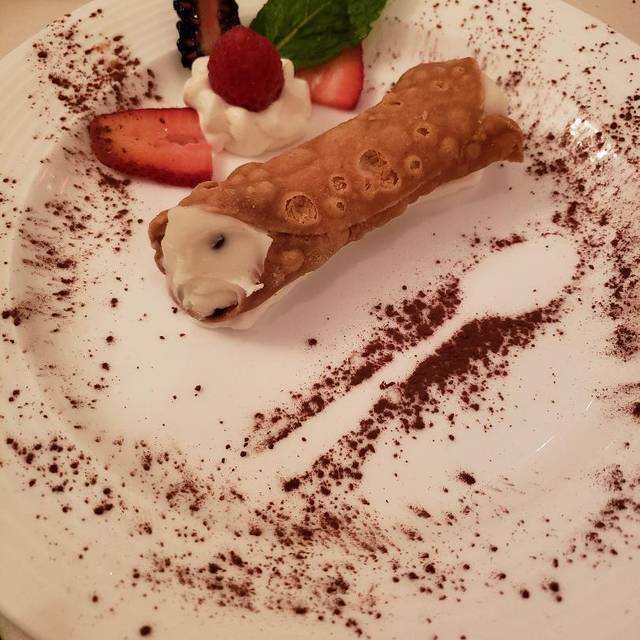 We were there to celebrate our anniversary and the evening did not disappoint: our server was wonderful and very attentive and the food tasted like authentic Italian cuisine. The food was VERY GOOD. Portions were a bit small and my Marsala was begging for more sauce, but overall the food was very good. The service left a lot to be desired. We were a foursome on a Friday night at 6 pm. We waited a long time for water and refills, bread finally came as we were finishing our entrees and overall service was just SLOW. The very kind busboy tried to help out where he could. We just tried to enjoy the nice jazz trio (we were in the room next to the bar) and be patient. It wasn’t that busy so we weren’t sure if perhaps they were understaffed? We were impressed that we mentioned in passing that we were sharing a salad and it arrived in two plates. That was a nice touch. We will give them another try. Next time I will ask ahead for more sauce with my Marsala. My favorite Leesburg restaurant, even after a couple management changes. Everything remains high quality. Seems to be getting a little noisier but adds to the ambience. New Year’s Eve. Food and service were great. Tried this place a few times, its been good but not great. If the service and food matched the menu prices I would certainly rank it higher but we have better options locally, often at a lower price point. The constantly flickering lights during dinner service are also mildy annoying.